The chances are though that unless you are based in some of the colder regions of Europe or America, you might never have heard of Frank, or Ice Speedway… so just what is this unique sport? “Nowadays production motorcycles are such high specification that everyone is looking for a new way to get a bit more performance, but where do you get it from? Do you add 20bhp? If so where is the grip coming from? The chassis technology is only moving forward in very small steps and ABS is now thoroughly developed. The only area that manufacturers have yet to properly exploit is suspension, luckily Öhlins knows quite a lot about this field of motorcycle development. 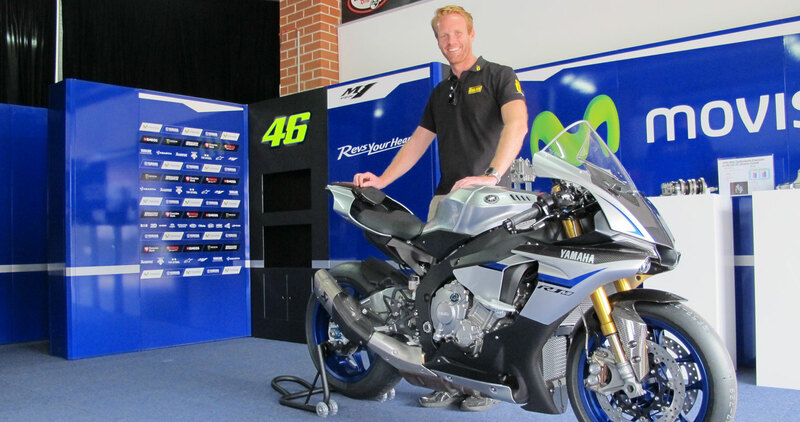 “We actually developed our first electronic suspension system with Yamaha back in 2008 when we were in World Superbikes. Nori Haga won at Vallelunga using an electronic suspension system on his YZF-R1 and it was very similar to the system used on the new YZF-R1M. 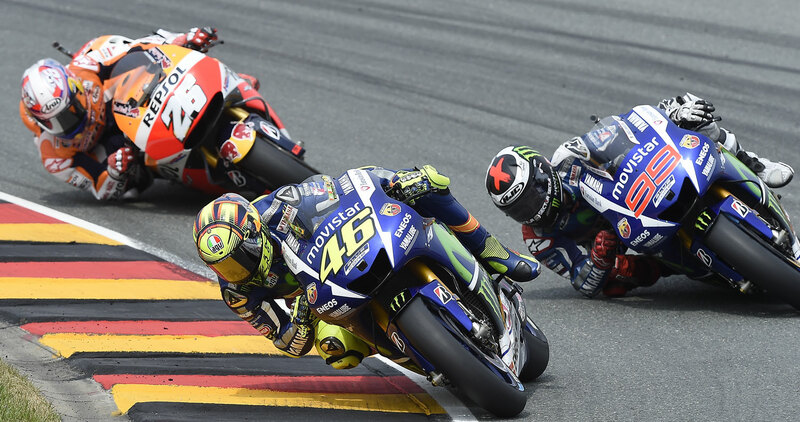 The main difference between the two systems is that the WSB one reacted to pre-set GPS co-ordinates while the latest ERS is stand alone and reacts to data supplied by the motorcycle’s Inertial Measurement Unit (IMU). Why has it taken eight years to make a system for a road bike? Sadly the FIM banned its use in racing at the end of 2008, which slowed development. Also, we realised that we could not use a GPS-based system on a production bike as we would have to map every track in the world to make the system effective, which simply wasn’t possible. The only future for electronic suspension was for it to be semi-active and able to respond to inputs from sensors on the motorcycle. We had to wait until motorcycles were built that contained the required sensors to run such a system, thanks to the IMU on the new YZF-R1M we have been able to build such a system. “Developing a semi-active suspension system is not easy and that’s why it was important to be involved at the very start of the new YZF-R1M project. 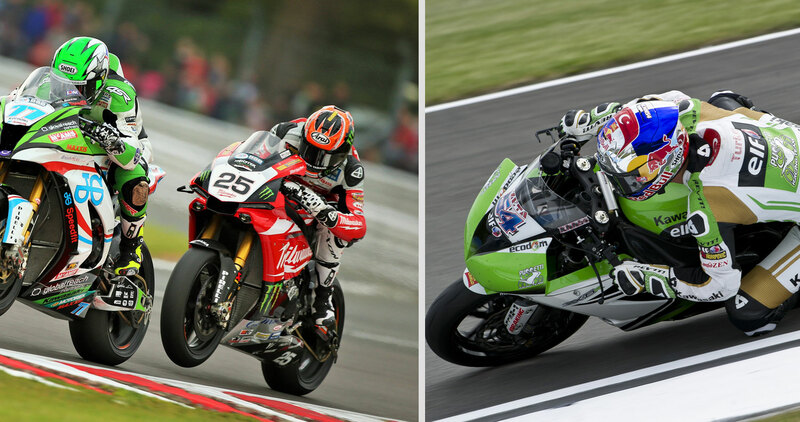 While we do have an aftermarket system for the Kawasaki Ninja ZX-10R that gives it a semi-active shock absorber, it isn’t as advanced as the one on the YZF-R1M, which uses data from the IMU. 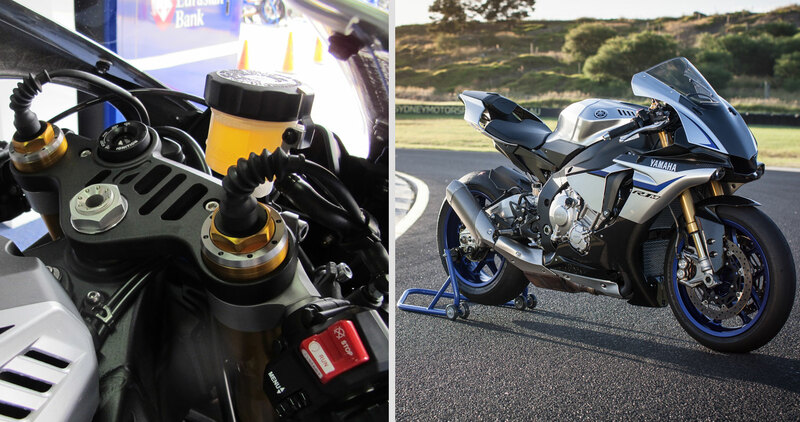 “The ERS on the YZF-R1M uses its own ECU, which we call the Suspension Control Unit (SCU). The IMU on the R1 feeds its data into the SCU and this data is then combined with information from all of the bike’s other sensors to allow the SCU to make a decision about what is happening with the bike at that precise moment in time and what is likely to happen in the future. The SCU calculates this data at 100 times a second and then sends a command to the stepper motors on the suspension. The semi-active suspension units are very similar to standard Öhlins suspension units, the forks are 43mm NIX units while the shock is a TTX36, but the compression and rebound damping adjustors have stepper motors controlling them. The stepper motor is basically an electronic screwdriver turning the adjustor. “Although we could make many changes a second, we aim to keep the suspension feeling constant as this won’t upset the bike’s handling. If you continually alter the damping throughout a corner the bike would feel on the move, so we try to limit the suspension’s movement to keep it feeling smooth and give the rider confidence in the corner. Although the ERS is capable of operating over the full range of damping adjustment, effectively it is more of a fine-tuning system that continually monitors and tweaks the damping to make the bike feel perfect. 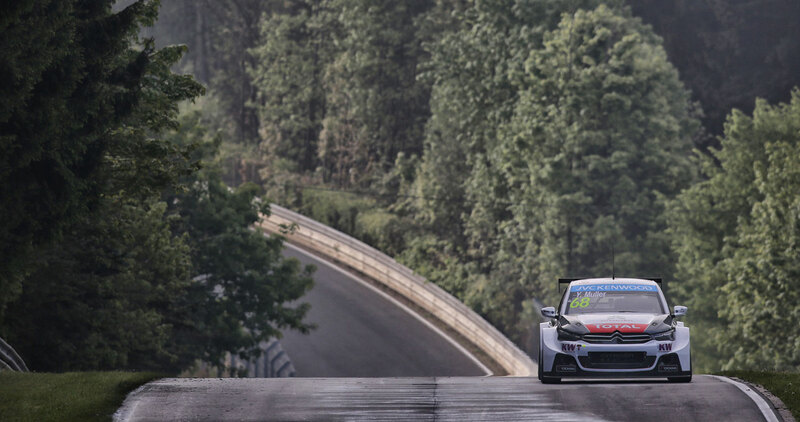 “Creating the ERS was a very hard project and really tested Öhlins’ technological knowledge as it was so reliant of software and programming. Much of the ERS was developed in an office using computers and test beds as you have to be 100% confident it won’t do anything odd before you even consider testing it on a bike. 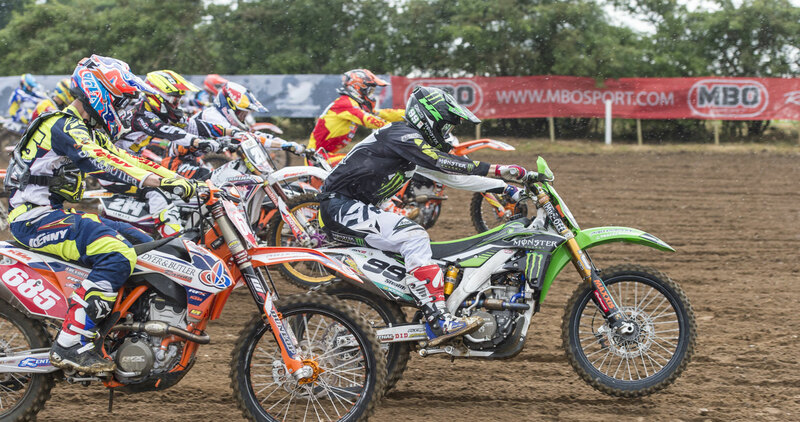 When your computer’s software crashes it is annoying, imagine what would happen if the SCU failed or did something unexpected while the rider was on track! Fitting the system to a bike was the simple part and by the time Yamaha’s test riders trialed it we knew it was very good. I remember one test rider wasn’t totally convinced about the system, but when he tried it he couldn’t believe how good the semi-active suspension was. 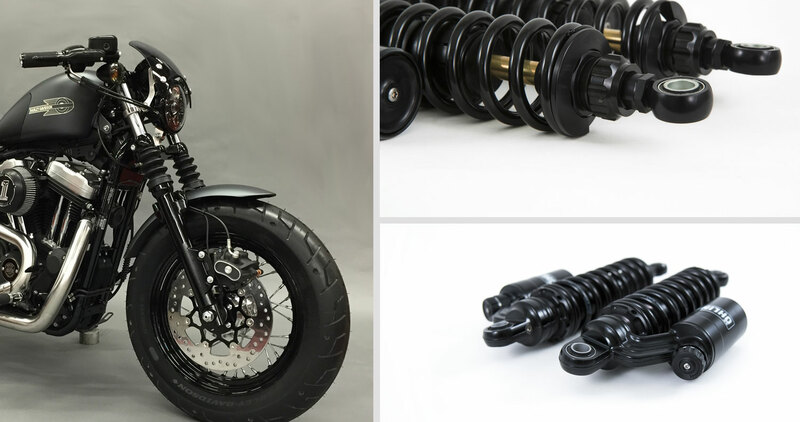 Öhlins has built suspension units for Harley-Davidson bikes before. But the Blackline shocks are part of an all-new range of suspension, specifically designed for Harley – the bikes, the owners, the lifestyle. The first job was to identify what’s important to Harley owners. So Öhlins spoke to Harley riders, builders and dealers in the US and worldwide when planning the new range. Then the R&D began in earnest. Rather than just ‘re-badge’ an existing product line with new aesthetics and logos, Öhlins started from a blank page, redesigning suspension cylinder heads, all-new setting baselines. In terms of performance, the emphasis for the engineers was clear: providing a smooth ride and great comfort, together with the ability to handle the loads normally encountered. And all that, while giving great handling, consistent high performance, and superb touring abilities, in all conditions. The ultimate aim – improve the Harley-Davidson riding experience even further, complementing the looks and styling of Harley, while retaining the striking detailing Öhlins is famous for. The Blackline range is based around two main designs: the classic ‘divided-piston’ STX36D, model and the STX36P piggyback version. There are also various adjustability options, with ride height and damping adjustable options across the range. Want shocks with a wide range of customisation? You got it. Want a set of simple, classic, top-quality shocks? We can do that too. All shocks are also available with a wide range of spring rates, so you can tailor-fit the shocks exactly to your needs; rider weight, pillion, luggage, additional accessories. There’s also a wide range of fitment options for all the main Harley models – the Touring, Dyna and Sportster range, as well as the V-Rod. Öhlins is currently also developing products for the Softail, and has plans for expansion into the Hinckley Triumph Classic range: Bonneville, Scrambler and Thruxton. 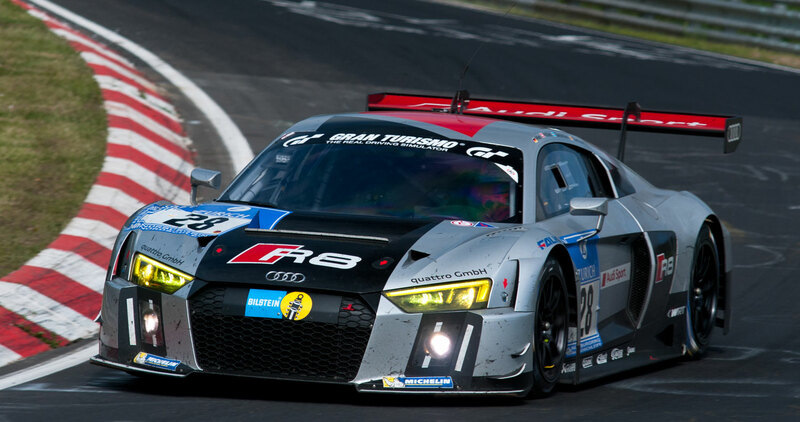 It’s not just rear suspension where Öhlins can help though. Replacement fork damping cartridges can transform the performance on FLH/FLT Harley models, and Öhlins also offer a range of replacement fork springs for a huge range of applications. Robert Brinkmark is the product manager for motorcycles at Öhlins. He told us about the Blackline development process. Charlie Stockwell is the in-house design guru at legendary Harley dealership, Warr’s of London. 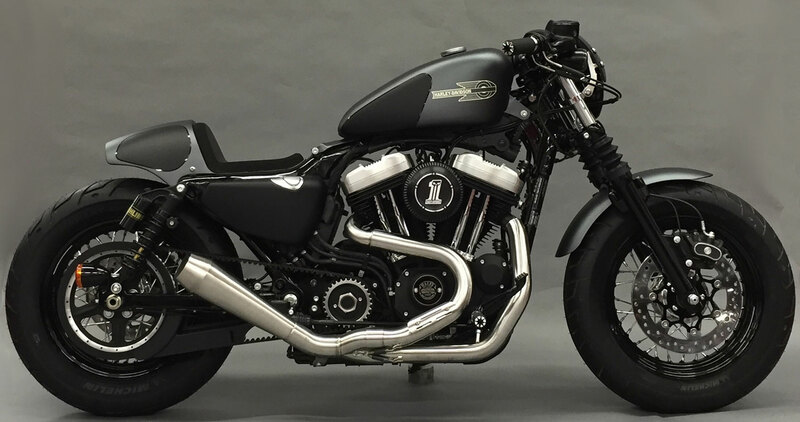 He’s played a big part in the thinking behind the new Blackline shocks, and he used a prototype Blackline set on his Urban Racer Sportster build, which won the Harley-Davidson King competition earlier this year. 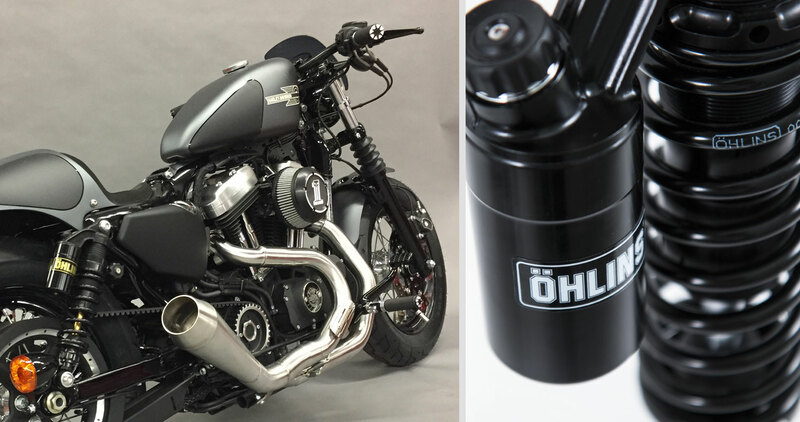 So how did a dyed-in-the-wool custom Harley-Davidson designer come to be working with Öhlins? “In the past, I’d use HD143 or 141 piggyback shocks on my Sportsters and other H-D builds, but I’d have to strip them down completely, and have everything redone in black. I’d take the shocks apart, make sure the travel, ride height etc were all right, and if those needed adjustments, Öhlins could do that. Then we’d send all the components off to be powder-coated, or anodised black. So during the development of Blackline, that was part of the inspiration. Urban Racer – Warr’s bike The Harley-Davidson ‘Battle of the Kings’ competition ran in January this year, and each Harley dealer in the UK was asked to enter a bike. The biggest hurdle was the budget – there was a strict limit on what could be spent, meaning designers and builders had to be very smart with their choices. Charlie Stockwell’s Urban Racer won the competition, and Charlie made sure he made room in the super-tight budget for some Öhlins Blackline shocks. For a start, it wasn’t so much an American car, as a North American car. And instead of running a huge V8 motor, the Öhlins feature car was powered by a highly-tuned, 11k-redlined motorcycle engine. 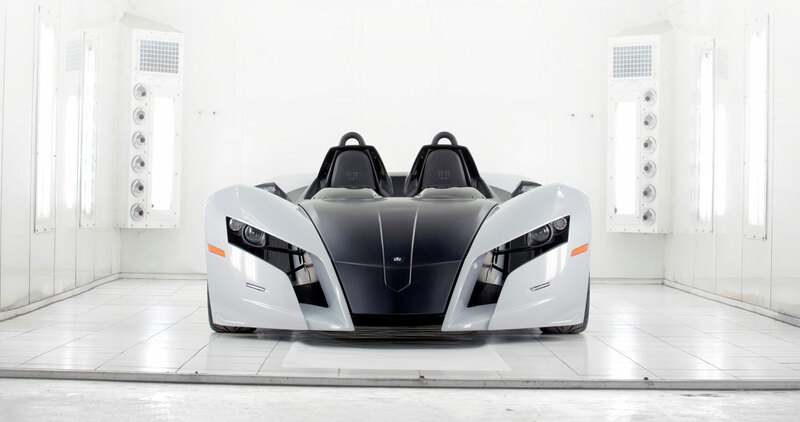 Because the machine was the incredible Magnum MK5 – a Canadian-built road-legal two-seater, that’s perhaps the closest thing you can get to a race car on the road. But it’s not just about acceleration. Magnum’s track heritage means it cares more about carving corners than slaying straights, so the MK5 chassis uses the very best in racing design and components. The wheels are super-wide light alloys, with Toyo R888 road-legal race tyres, and the brakes use radial-mount four-piston calipers all round. But it’s the suspension that really marks the MK5 out as a racetrack refugee. Rather than using a modified road car arrangement, Magnum has gone for a full track setup, with inboard-mounted, fully-adjustable Öhlins TTX36 shocks, operated by pushrods, and unequal-length double A-arms front and rear. This is the same suspension design philosophy that’s used in ultimate car racing series worldwide – having the shocks mounted inboard reduces unsprung mass in the suspension, and allows improved aerodynamic performance. Aerodynamics are also key to the MK5 design. 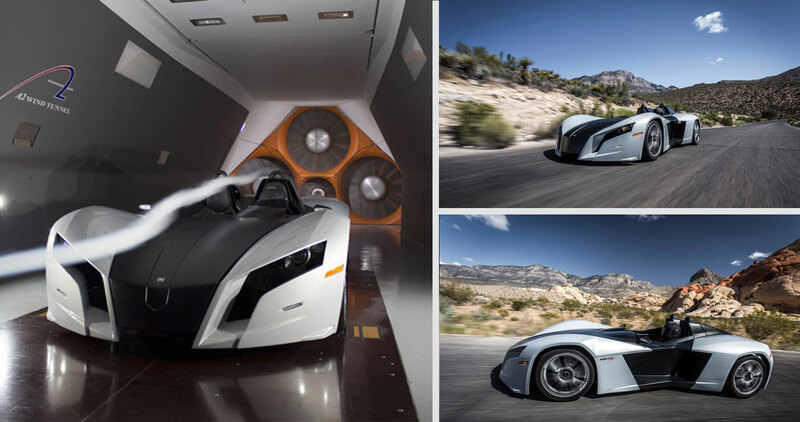 Unusually for a road-legal car, the carbon fibre bodywork actually incorporates functional aerodynamics. That’s to say, the internal front wing, front splitter, flat underbody and rear diffuser all help ‘stick’ the MK5 to the asphalt at speed. In the same way as open-wheel ‘Formula’ race cars, the MK5 uses the airflow over its chassis to ‘push’ the car into the deck, improving grip, and giving more secure cornering. You’ve maybe not heard of Magnum – but the Quebec-based firm has been turning out top-spec race cars for almost fifty years. Set up by race car enthusiast Jean-Pierre St-Jacques in 1968, Magnum began by producing the Magnum Mk1 Formula Ford car, the first of a series of hand-built racers. Just five years later, Magnum was collaborating with an up-and-coming Formula Ford driver called Gilles Villeneuve. Villeneuve won the 1973 Quebec Formula Ford championship in his Magnum MKIII, kicking off a legendary career in competition. 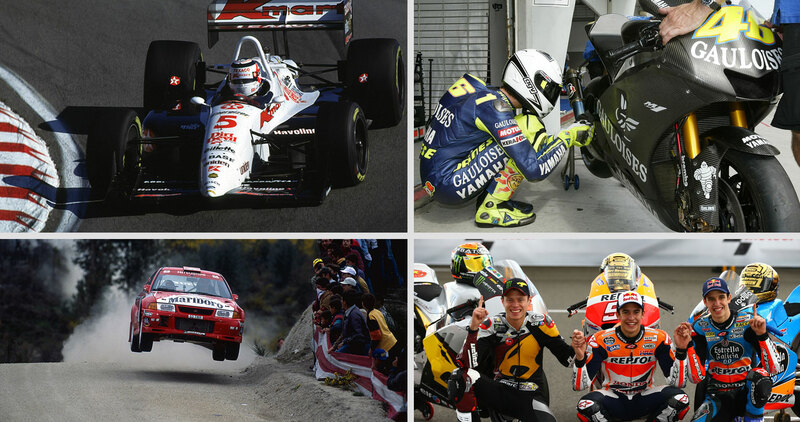 Magnum built about a dozen race cars over the following two decades, culminating in the Magnum MKIV of 1988, before Jean-Pierre moved onto race car preparation and parts production for the whole range of auto racing disciplines. 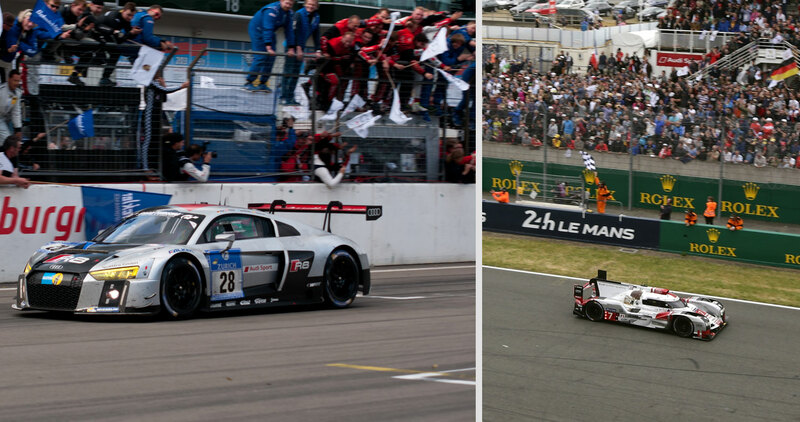 Meanwhile, the St-Jacques dynasty rolled on, with Jean-Pierre’s son Bruno absorbing the family passion for motorsport. – Bodywork: Carbon-fiber composite. Easily removable front and rear sections.